-Understanding color is important as an artist. If you learn the language of color, you can use it to convey a feeling, provoke emotion, highlight certain details, or even to give your picture a temperature. -Three colors - called primary colors - are the basis for the color wheel. These three colors can be mixed together (along with black and white) to create pretty much any color you can think of. RED, YELLOW, BLUE. (If there are kids in the class who happen to have shirts on that are R, Y or B, it's kind of fun to have them come & stand in front of the class). -An artist who loved color was the great Paul Klee (1879 - 1940), a swiss artist who painted in the 1900’s. 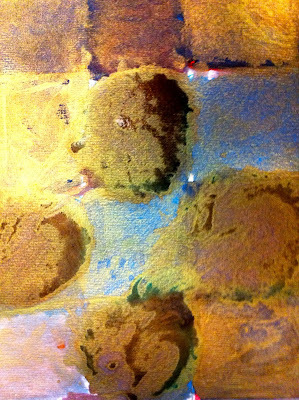 He used color as a language, to create a sense of place in his pictures (the Tunisian watercolors) or of temperature (The Nile painting - the blue and white squares tell the story of a cool river - we know it's water looking at it, even though we don't see the shape of an ocean or stream). 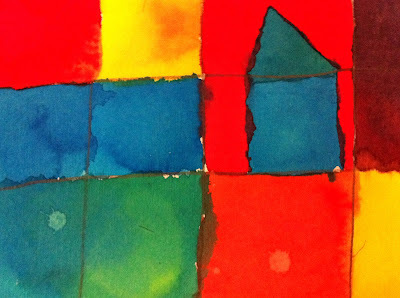 We can guess how he felt about what he painted by studying the colors he used. 1. Pass out paper, & have kids write name, teacher, and grade on the back. Then have them draw a grid. (Note: in the interest of time, you may want to guide the kids to make about six lines total. Lots of lines make a more detailed painting - which is awesome - but it will take longer to finish). No one needs to worry about their lines being perfectly straight or even - imperfect is best with this project. 3. Let the kids go to town painting. Guide them to try and use different colors in every square so they play around with mixing the colors right on their paper. 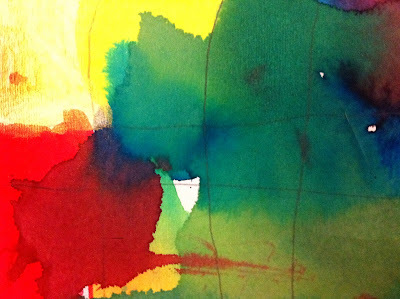 The liquid watercolors are so vivid that it's really interesting to see what you get when you layer them on top of each other. Wow Lynne!! These turned out so beautifully! I just love the third one... well, and the first and the second and... This is a great way to teach color! I'd love one of these on my wall. 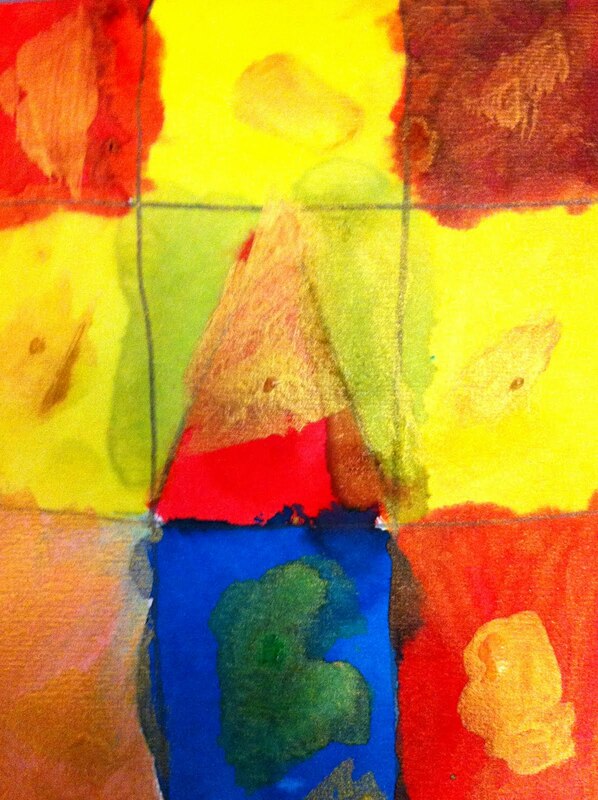 obviously I need to intro the kids to paul klee. superb. The colors are beautiful. What a lucky school to have you teach such interesting art lessons!